Google Home is likely to stand out as the most memorable new piece of hardware revealed at I/O 2016 but away from the spotlight, Google added some new televisions and set-top boxes to its Android TV lineup. The most notable of the bunch is a new set-top box from Chinese electronics maker Xiaomi called the Mi Box. If you’ve been waiting for something to rival the Roku 4, this may be it. The Mi Box is powered by a quad-core Cortex-A53 processor clocked at 2.0GHz, Mali 450 graphics running at 750MHz and 2GB of RAM. There’s also 8GB of eMMC flash memory on board, dual-band 802.11 a/b/g/n/ac Wi-Fi and Bluetooth 4.0 / 3.0. All things considered, the Xiaomi Mi Box can output video at up to 4K resolution at 60fps via an HDMI 2.0a port. There’s also a USB 2.0 port, SPDIF out / 3.5mm audio out and a power connector plus support for 7.1 surround sound. A Bluetooth-powered voice remote accepts two AAA batteries. 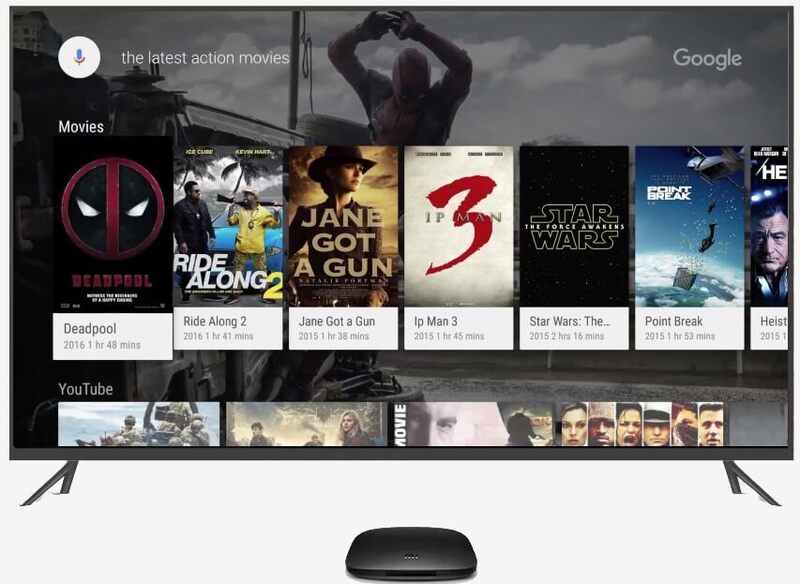 The product page and announcement on Google’s Android blog doesn’t mention a price or release date but we do know the set-top box is headed to the US.